Shoot 1UP is my entry into the Experimental Gameplay Project contest for October entitled "Numbers". 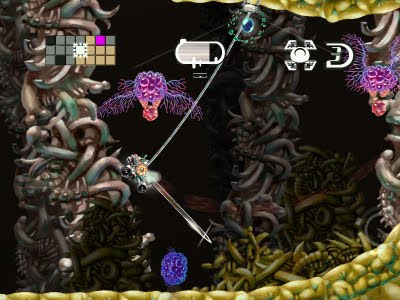 In Shoot 1UP, you control a fighter attacking enemy aircraft infected with creepy, machine-controlling alien parasites. Your ship harnesses the alien power and is using it against them! 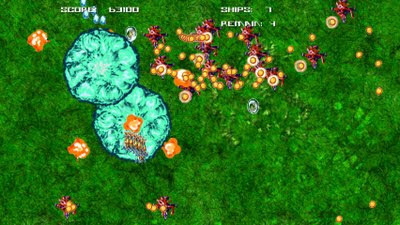 The twist on the vertical shooting action is that instead of gaining extra lives and taking them in turn, any time you gain an extra life that ship comes into play right then! Inspired by the Numbers theme, when you kill an enemy ship, a new 1UP powerup is released based on the total number of player ships currently available. For example, as you start the game you have one ship. Shoot the first alien, and you get a 1UP! 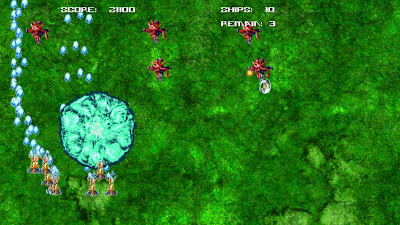 Now you have 2 ships, and to get another 1UP, you have to kill 2 enemies ships... with 17 player ships, you have to destroy 17 alien fighters to increase to 18 ships! 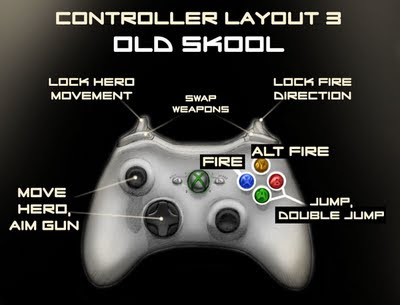 Controls are simple with a Xbox 360 controller or the keyboard. Try to beat your high score with higher points, but the real challenge is getting more simultaneous ships! 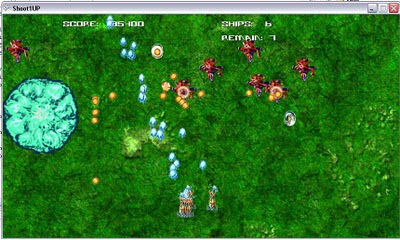 Here's the free PC download for Shoot 1UP. 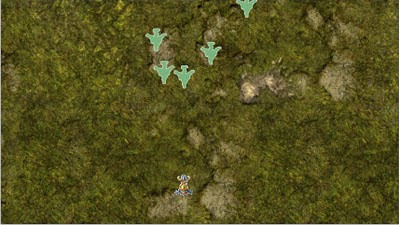 This is an XNA game, as such it will need to download a Redistributable from the web. If needed, it will download the Microsoft XNA Framework 3.0 Redistributable (takes a few minutes). Then it asks you if you'd like to Install the Application or not. If you click yes, the game will start running. If you have any tech problems, I'll try to sort them out. You can write in the comments or email me. 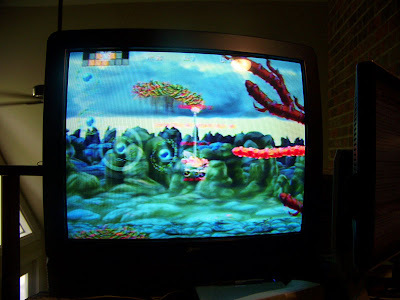 The longer you play the faster the fighters attack. Always collect powerups if you can squeeze through the bullets. 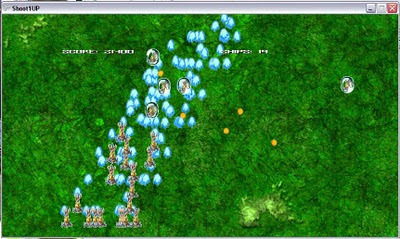 If a fighter dies, it explodes in a cyan fireball for a few seconds. This explosion destroys enemy fighters and their bullets--hide inside for temporary protection! 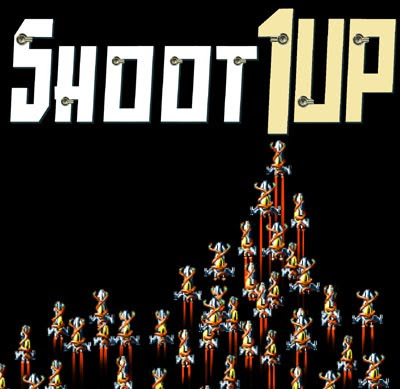 This version of Shoot 1UP was made in 7 days, as per the Experimental Gameplay Project contest rules. A more polished, prettier version will soon be making its way to the Xbox 360 Indie Games section. Read about the ALL NEW pretty version to be released in January 2010! 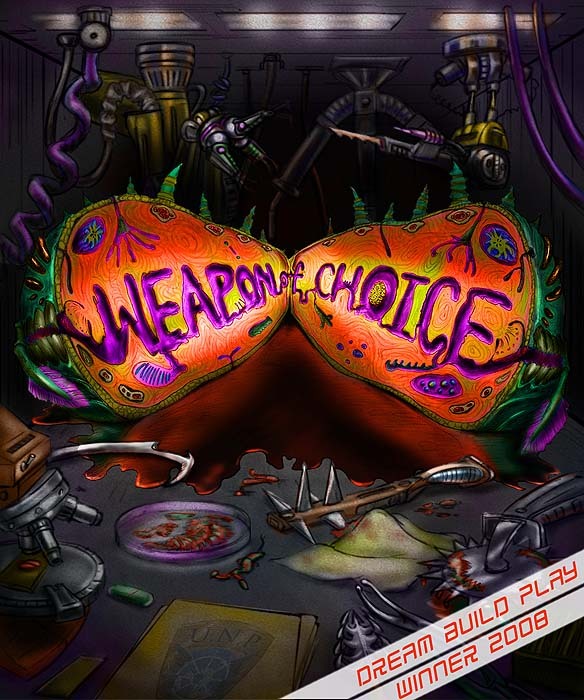 Version 1.08 of Weapon of Choice has just entered the "Playtest" phase in the XNA pipeline. In this case it means the finished update should be out for gamers to play in a few short weeks. If you're an XNA developer (such as this Short-fused group) please consider giving the game a spin while it's in Playtest! I'd love to hear comments about the new changes (in the Playtest forums of course, but you can also share thoughts here). There are new control schemes, new difficulty settings, and several other fancy options to try out. 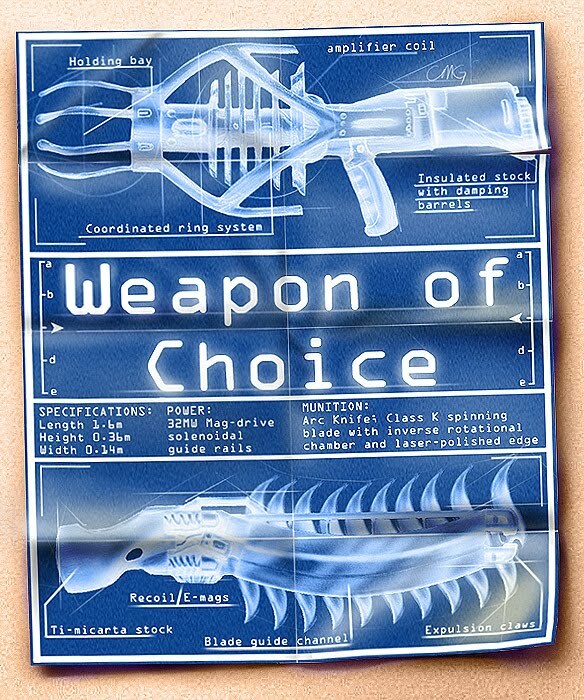 I'll do a post shortly detailing the various new changes to Weapon of Choice once it's available on the Indie Games channel. I've been working on a new update to the original Weapon of Choice, which doesn't sound as fun as working on something new like Grapple Buggy, but I think it's necessary. Weapon of Choice is currently still in the Top Rated list, but as other new, fun things become available it might lose footing (rate WoC high if you haven't already, thanks!). To make the most of the higher exposure, I'd like to do as much as possible to continue to refine the demo experience and the game in general. One area that could use broader support is the controls. 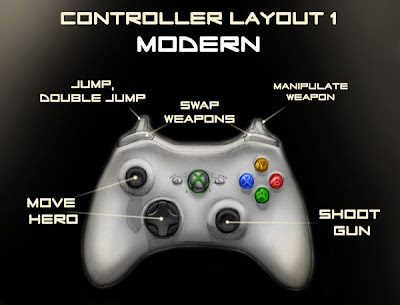 I've heard various podcasts, seen forum posts, and gotten emails that wished the controller layout were different. 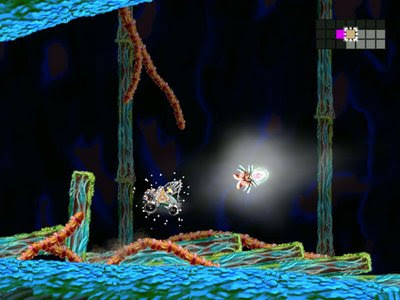 Weapon of Choice uses a modern take on the side-scrolling, "Contra-style" genre in which the left stick controls the character and the right stick controls where he shoots. Since your thumbs are on the sticks, you can't reasonably operate the face buttons for jumping or switching which are moved to the shoulder buttons. Throughout the post here, I'll show each of the three current layouts planned. I'm certainly open to hearing feedback in the comments on these new layouts. For me, and thankfully the majority of gamers, this is a perfectly natural extension of the Contra-style genre and works with modern controllers. 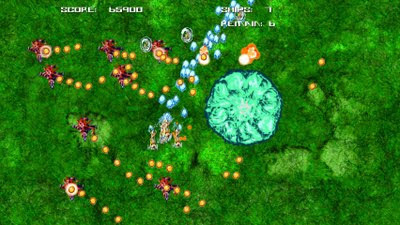 But since the genre itself is old, some gamers have expected and requested face button controls for jumping and shooting. I'm working on an update that should be available shortly, with these new control schemes. But why would I have not allowed for such configuration from the start? It seems obvious in hind-sight. The main issue is, I couldn't imagine it any other way! Oh, and probably a dollop of hubris. Yes, some of that too. But in general I think I was standing too close to the painting for too long. To light-heartedly pick on the very snazzy developer Halfbrick, their recent game Halfbrick Rocket Racing seems to have suffered from a similar control issue also, as is evident in these reflections from XNPlay. 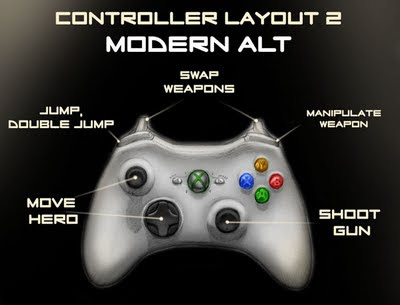 Though they already did offer several control layouts, it looks like from the comments some people still couldn't find the best fit. The lesson here is, if you're pushing a new control scheme, at least offer the original, expected layout somewhere in the game (even if it's buried) to temper the delivery somewhat. 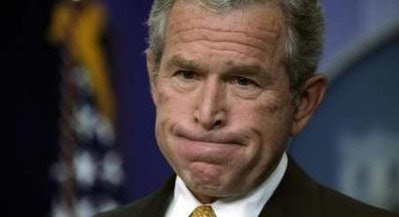 Otherwise, you'll end up looking like this. Weapon of Choice recently passed the 10,000 sales mark, selling at 400 MS points! While I could have picked 9,837 sales as our arbitrary milestone, I thought 10k had a better ring to it. We're very happy and grateful to all the fans that have supported the game along the way. 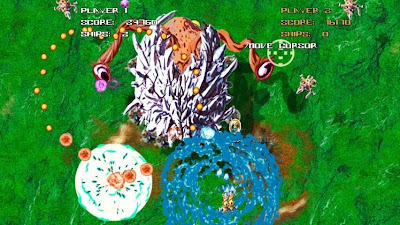 We know you have lots of gaming choices and it's a honor that you've picked our game to have and to hold and to use to kill disgusting aliens. 47,823,213 gallons of alien blood spilled. 919,534 brushes with Death. Under similar circumstances, Death would have stolen player's lives in other action games. 423,525 references by gamers to Wilford Brimley, followed by 173,189 trips to his wiki page. 276,207 frowns turned upside-down as the Vengeance Missile did its job. 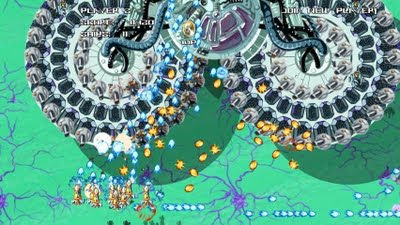 184,622 WTF's when encountering the various ungodly alien invaders throughout the game. On a serious note, when possible I like to share information about our business's inner workings with the hopes of helping other developers in some way down the road. 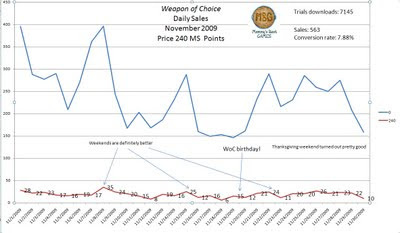 I want reveal information about Weapon of Choice's sales to encourage others to share more information about their sales more frequently. Xbox Indie Games is not even a year old and has shown it is different from the other digital stores. The more information developers have, the better decisions they can make in the future. This is a graph of the running total for sales. And this shows the daily totals for sales. Here is the running total for trial downloads. And here is the daily trial downloads. In addition to on-going game development posts, I also plan to release each month's new sales of Weapon of Choice on the dev log here for all to see. When we heard that Indie Games would be available in Japan we started work immediately on translating a press release and contacting the Japanese press to help promote Weapon of Choice. We hired a friend of a friend who speaks Japanese to help us translate our materials to make the extra effort when dealing with the press there. The sad news is I don't know if any of that helped. We haven't been contacted by anyone that we think was influenced by what we sent. BUT the extra cool hyper super jet mode news is--Famitsu contacted us! Yes, that Famitsu, and out of the blue I received an email from a writer who was interested in an interview. We received a copy of the magazine recently and wanted to share it with everyone. We're in the Otaku section, but guess what--I don't mind! In fact, that section is almost as big as the rest of the magazine covering "proper" games, so I think it's all pretty good. Sure, I haven't had the text translated, but I'm just hoping for the best that everything reads pretty well. I'll take a quick business detour and show how the Famitsu article impacted downloads for Weapon of Choice. 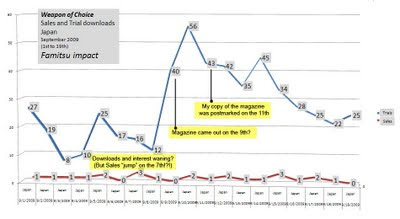 On the 9th and 10th of September Weapon of Choice had 40 and 56 trial downloads respectively, up from 12 on the previous day, so I imagine the magazine hit newsstands around the 9th. (Do they still have newsstands in Japan?) Sadly sales didn't really spike with the trials, though at least they continued to hop around between 1 to 2 sales a day in Japan. Even after skimming around the web about how Otaku is perceived in Japan I'm fairly confused. Since it's not definitive I just hope for the positive side of things, that when Japanese kids see Weapon of Choice in that section they find the screenshots intriguing. How about you? Do you think Otaku a pejorative term or not? Along with a minor update (demo level changes to hopefully draw in more people) to Weapon of Choice, I'll also be changing the box art. There's a poll running over at xboxindies.com acting as my "Ask the Audience Lifeline" for box art selection. I'm trying to find the one that piques people's interest the most. I've made the image annoyingly small in order to simulate how small an area the image takes up on your TV when you're searching games on your Xbox 360. Please detail in the comments below what you liked or didn't like and about whatever images strike your fancy. Does the girl need that "European look" made famous in MGS2? Does the blueprint need more mauve? Is the monster a giant spider thing, or a pile of Skittles on the ground? Have the millions of dollars I've spent on brand marketing made the original box the only art you could ever love? The results are out for the 2009 Dream Build Play contest and sadly Grapple Buggy didn't win. In fact Grapple Buggy didn't even place in the top twenty! Did the game somehow crash immediately? Did they never even get to start playing it? Was the "sci-fi buggy with grappling hooks exploring an alien planet and a mature story" genre completely saturated? Did the notion that the alien co-pilot, "Drozo", eats puppy dogs as a snack turn off the judges? At last the answer seemed obvious. The fun wrapped. As described in the well known, and ground-breaking white paper "Exploring Sensory Perceptions of Polarizing Satisfaction Elements" by Haag and Vormann, I think the judges had so much fun with Grapple Buggy that it actually crossed the maximum threshold and started over, at the bottom of what is "fun". 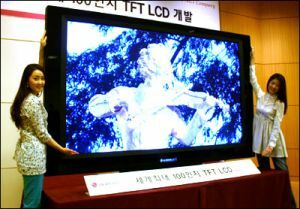 Dr. Haag called this theoretical threshold of fun the grenzespasse and examined how if some entertainment media actually caused a person to cross it, they would feel that the media was actually not fun. While I'm thrilled that it's possible Grapple Buggy would be the first media to do this, it's unfortunate it could have cost us the contest. Just a word of warning to other developers out there: mind the grenzespasse. Make your games fun... just not... TOO FUN. And if Dr. Haag or Dr. Vormann would care to comment on our humble dev log I'd certainly be honored to hear their perspective on the situation. At last it's time to check out the newest game trailer! The big deal for us, with this trailer, is to reveal the spoken dialog dovetailed with the intriguing science fiction plot. It's ambitious for our tiny studio, but so far it's turning out really well. We're working to create a "big boy" story with room for moral choices by the player, and elegantly present it in a 2D side-scroller. 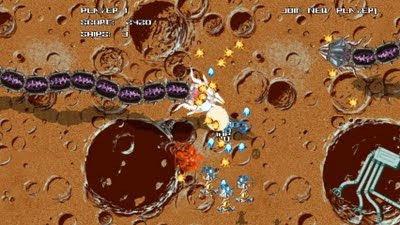 The player controls the buggy driven by a human and an alien, working together but, because of their natures, at odds with one another. 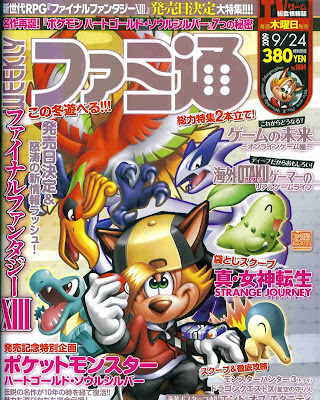 The characters comment on things as they happen, discussing the action and the puzzles, the story itself, all without bogging down the game. 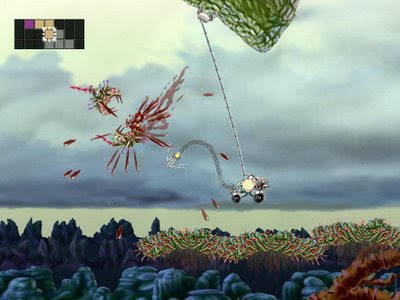 Right now we're still figuring out if the game will be released via Arcade or Indie Games, but it will hopefully show up on the Xbox 360 in some fashion, in 2010. Begin holding your breath... now. I'm still balancing the audio levels and fine-tuning the music to line up with the gameplay action. You'll probably die by the time it comes out some time tomorrow, but it'd be a nice show of support. Tell you what--cheat a little and take a new breath just before you go to bed. Thanks! You're the best. With a solid build of Grapple Buggy safely sent to the contest, backed up on stand-alone harddrives, and solid-state CDs now hidden throughout the country, it's time to make a new game trailer. Yes, I really wish I had created a new trailer before the contest but that would have removed precious time from polishing the game. 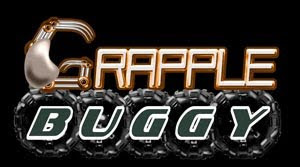 The contest was effectively more than a month sooner than last year, and Grapple Buggy needed all the love it could get. Fortunately I think the Dream Build Play contest submission turned out great, but I still had to use the original teaser trailer for the contest submission. I captured gameplay footage today using Fraps and am currently composing a custom animation to fill in the 'story' for the trailer. The trailer's story will actually include an overview for the story for the game itself, but probably one of the most exciting new elements revealed (among several) will be the spoken dialog from the game. 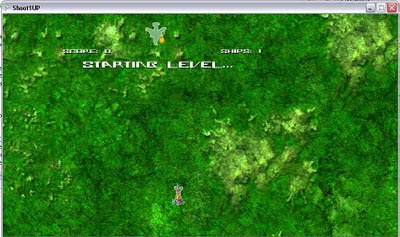 Grapple Buggy features two pilots within the buggy who effectively have a running dialog and comment on the action. They help the player relate to the mechanical buggy but also provide important context-sensitive tips with the action. You've already met Commander Javeya. With any luck I'll soon have the portrait finished of the other pilot. Finally! 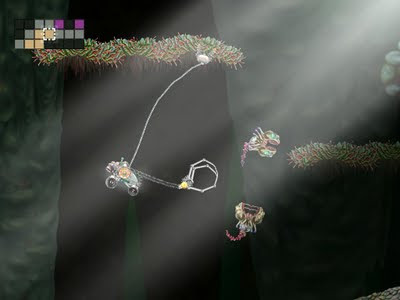 It was a little close for comfort, but Grapple Buggy is officially entered into Microsoft's Dream Build Play 2009 competition. We submitted the game about three and half hours before the deadline and fortunately didn't run into any problems. Apparently other developers did have some problems at the last minute. While it's not like I want more competition, I hope the contest admins can cut various devs a little slack. The tough part is, there has to be a cut off time drawn at some point. Regardless, Grapple Buggy is now leaps and bounds ahead of where it was during E3. We now have all sorts of audio and graphical improvements and the game story is completable from beginning to end. But that's just the half of it! Yes, the game's a little over halfway finished, that is to say, about only half of the gameplay content is completed. 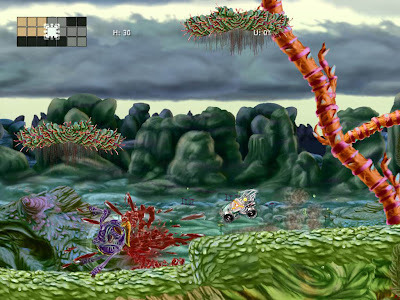 While the story is completable there's a lot more designed for aliens, levels, and powerups. 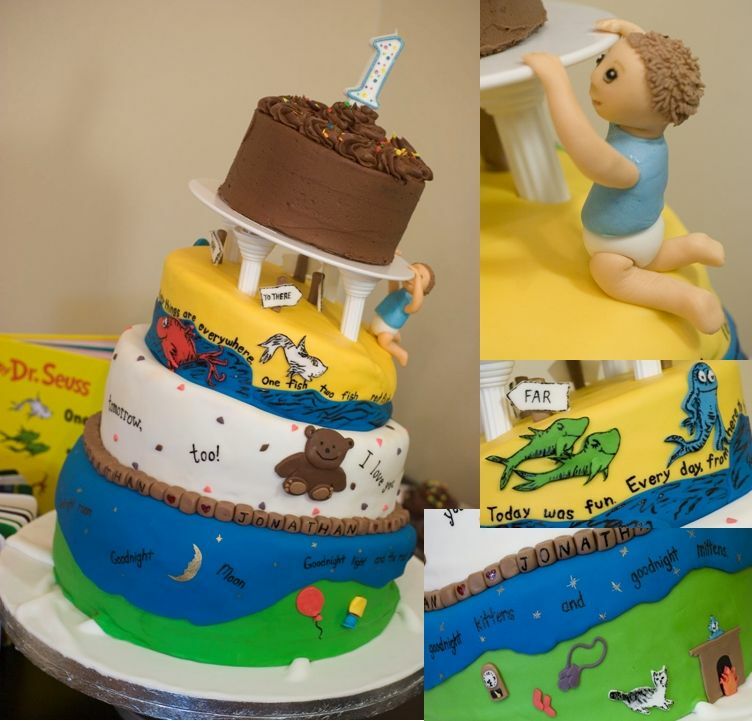 There's more story as well, but at least what's in there makes sense. 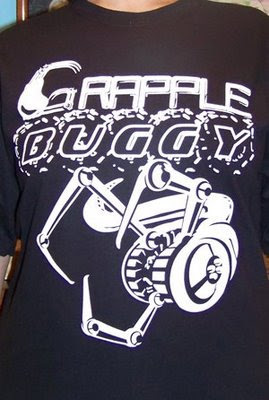 Currently we're looking to finish Grapple Buggy for some time in the first part of 2010. Sure I could release it sooner, but I'd like a more substantial experience for everyone. I do plan on releasing a new trailer fairly soon to show off some of new fancy features. Some new screenshots will also be forthcoming. 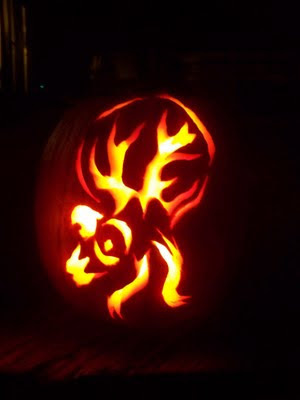 In the meantime, enjoy this capture from the contest submission! What's more fun than giving one shirt away? How about giving one to everyone that participated! 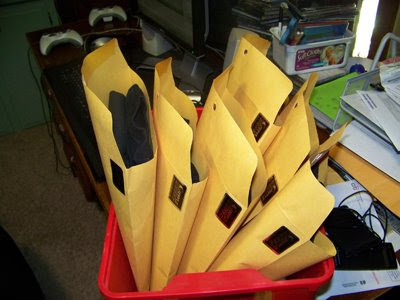 That's right the shirt Giveaway is over, and after reading all the funny comments, and checking my mega-stash of Grapple Buggy shirts, I decided everyone that made an effort would get a shirt! I'll be emailing the comment-writers soon, and I hope everyone enjoys their prize. In Grapple Buggy development news, I will be working on getting the game to work using Game Studio 3.1 so everyone hold their breath! Assuming anyone's still alive, I'll do an update when it's okay to release said breath. And speaking of Game Studio 3.1--it seems like Christmas in July has come early because apparently Xbox Live Indie Games will be getting user ratings! User ratings--wow! Finally, a way in Xbox Live Indie Games to separate the wheat from the chaff... but without all the chafing. Now if we can just get a simple path for finding the games on the dashboard. What do you think Microsoft--maybe something for Christmas in December?